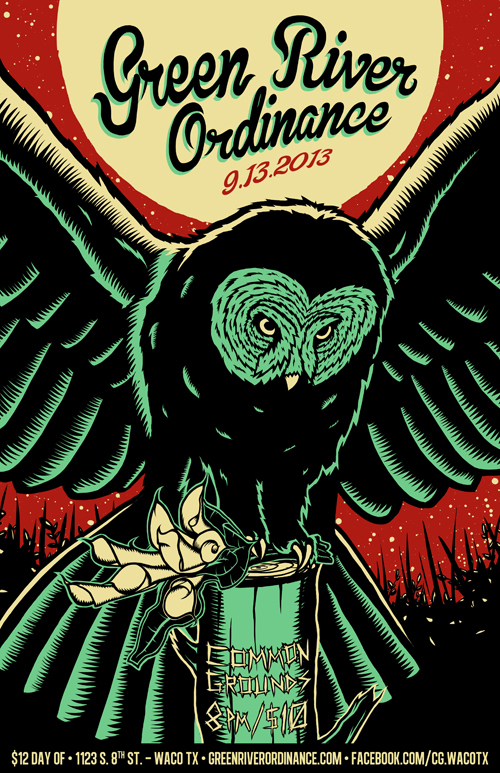 New poster for Green River Ordinance, themed after the song title “Dark Night” from their album Under Fire. Nocturnal birds and funeral bouquets. A dark night indeed.